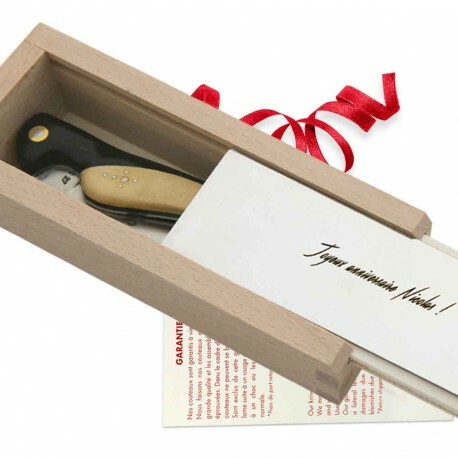 The chosen text will be engraved on the blade and on the top of the box. Ergonomic handle shaped in the form of a bird’s wing. Delivered with certificate of origin and lifetime warranty.